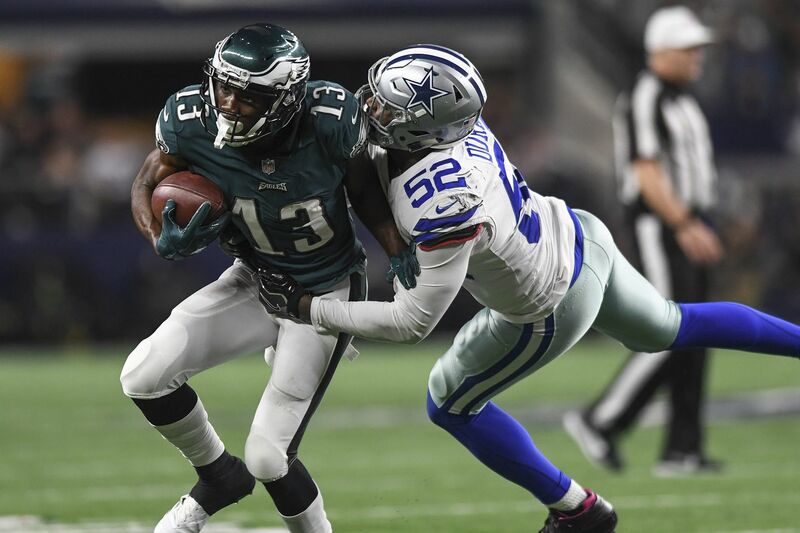 Will this year's version of the Cowboys be able to handle Nelson Agholor and the Eagles at full strength? Our writers spent their summers at every Eagles press conference, practice and preseason game. Now, they'll try their hand at predicting every regular-season game. Which NFC East team is the biggest threat to the Eagles? Carson Wentz scrambles away from the Redskins’ Zach Brown last September. The Eagles don’t face their divisional rival until December this season. Eagles season preview: The long, arduous countdown to Carson Wentz's comeback | Marcus Hayes: Eagles' biggest hurdle in repeating as Super Bowl champs will be overcoming loss of Frank Reich, John DeFilippo | 50 things to know about the upcoming season | Which Eagle, who didn't play in the postseason, will have the biggest impact? | Eagles' roster reconstruction reveals they have a type: Experienced players on short-term deals | What roster holes should the Eagles worry about? | Previewing the NFC | Previewing the AFC | Bob Ford: Repeat as Super Bowl champs? The Eagles can learn from teams that did. | David Murphy: Do the Eagles have what it takes to establish a dynasty? | Super Bowl carryover – good for this year's Eagles or bad? | Will Carson Wentz return to MVP form? | Nick Foles is starting for now but is OK with eventually stepping into background | Eagles 2018 roster: Breaking down the depth chart | A recipe for repeating: What the Eagles need to do to win another Super Bowl | Mike Sielski: The Eagles won a Super Bowl by being innovative. So what's next? | What will determine if the Eagles contend for the Super Bowl?